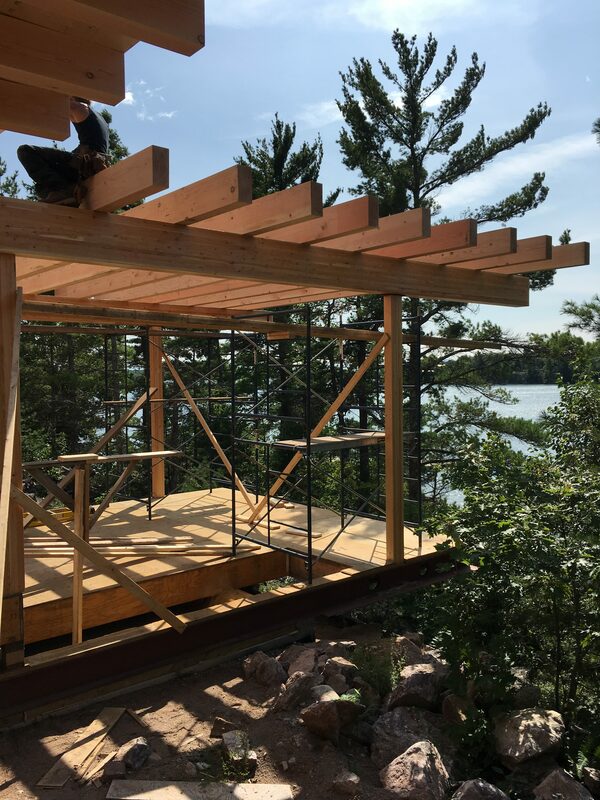 Prefabricated Building Systems - Trevor McIvor Architect Inc.
We specialize in the design and construction of timber frame buildings in various shapes and scales. 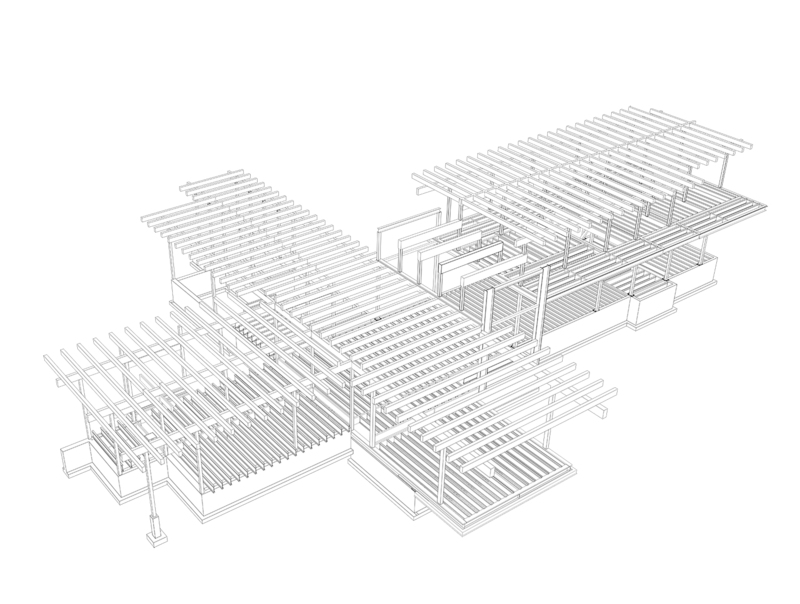 Trea Building Systems carefully coordinates projects with TMA and our engineering partners. Our houses can have flat roofs or sloped, with exposed structure or concealed. 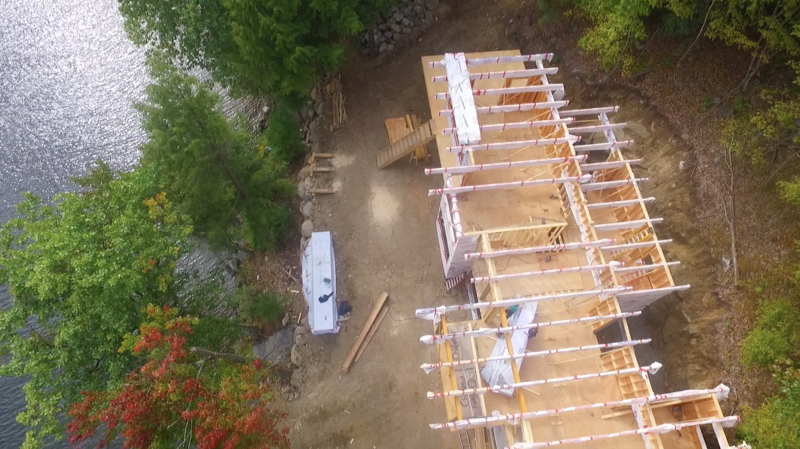 As most of our projects are in temperate climates in Canada we are strong believers in using timber frame construction wherever we can. Canadian Douglas Fir and Black Spruce are common spieces due to their strength and durability as well as natural beauty. Our building packaged are fully designed and coordinated in house. The structures are completely prefabricated. All components are pre-cut and milled. Connections are fully fabricated for easy site erection. 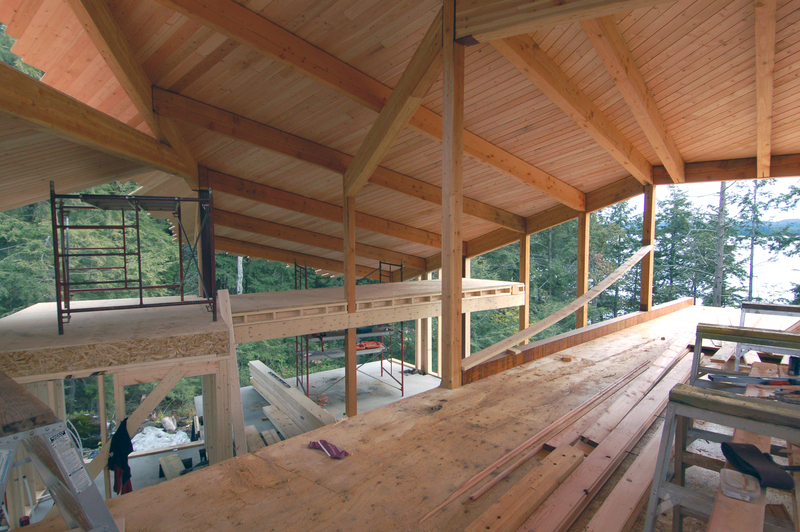 Wood provides warmth as well as charater to a building as is a renewable and easy material to work with.